The DIESIS is a compact sectional, ideal even for small-size apartments not to mention it is designed by NATUZZI ITALIA and made in Italy. Its main features include stylish details, such as piping that sets off the armrests' profile, and thin wooden feet. The headrest can be adjusted to the most relaxing position. 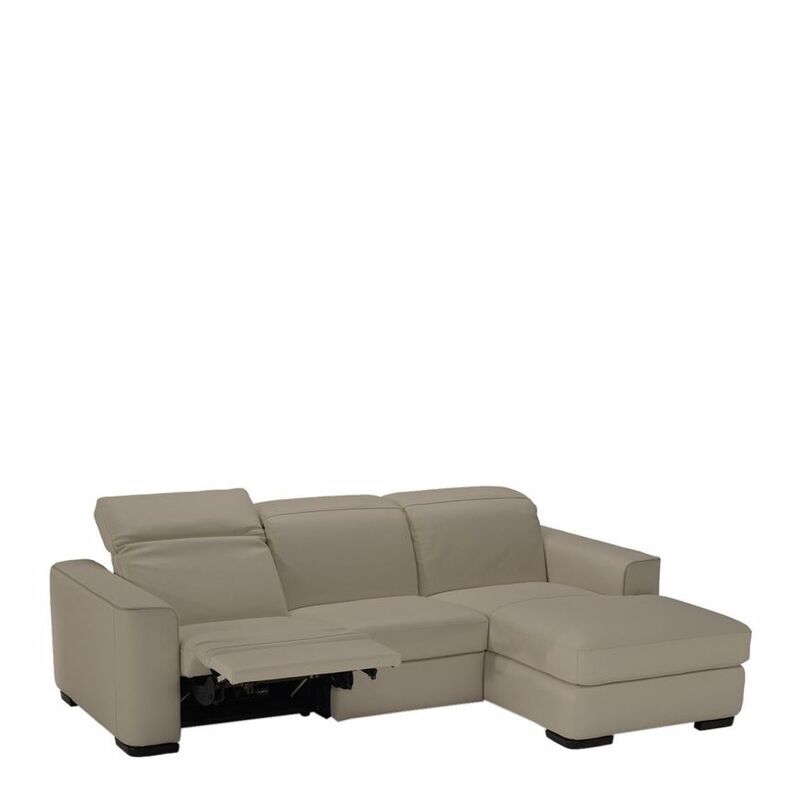 This particular configuration of the DIESIS model features a practical storage compartment underneath the chaise.